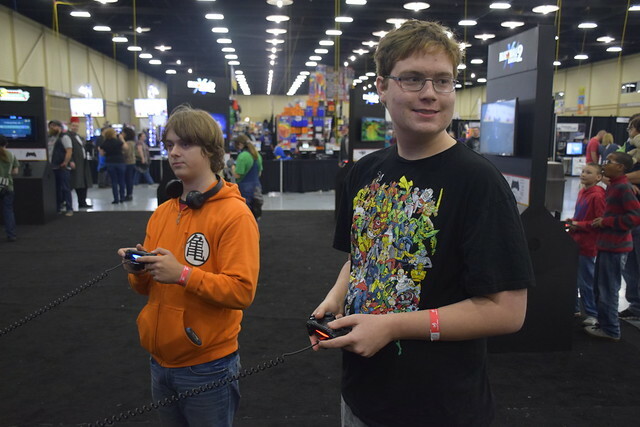 Logan and his friend Q trying out some of the games. 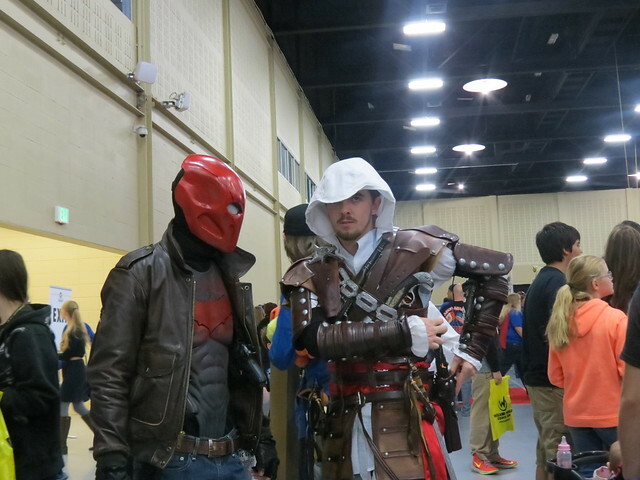 Sunday Logan and I traveled downtown to see WizardWorld Tulsa. 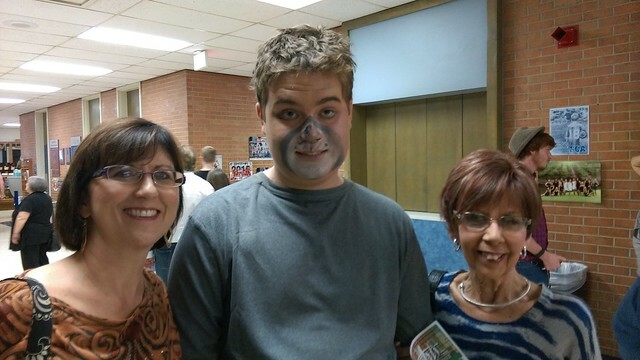 A popular culture event. Popular culture in this case goes toward superhero movies, videogame characters, cartoon characters, and so on. 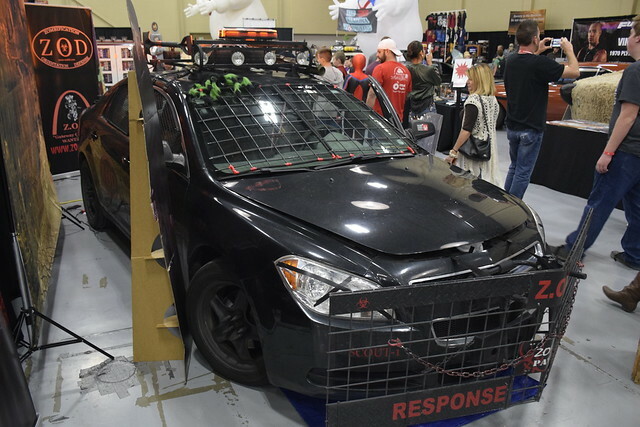 A car from same famous Zombie movie that I didn’t see. I find it fascinating although I miss most of the cultural references. 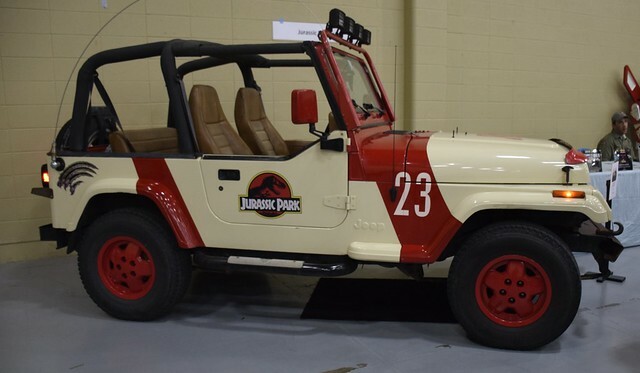 Cool little Jurassic Park Jeep. I gravitate toward the cars. I get cars. Mot of them anyway. Many of the cars you could sit in them and get your photo taken. No thanks. No way my face adds anything to the car. Remember back to the future? 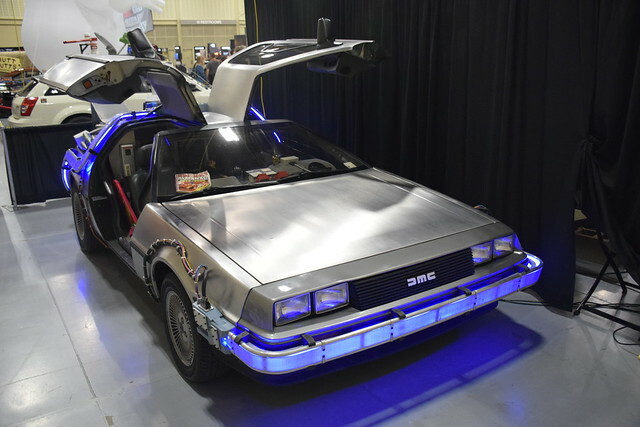 Remember the Delorean? 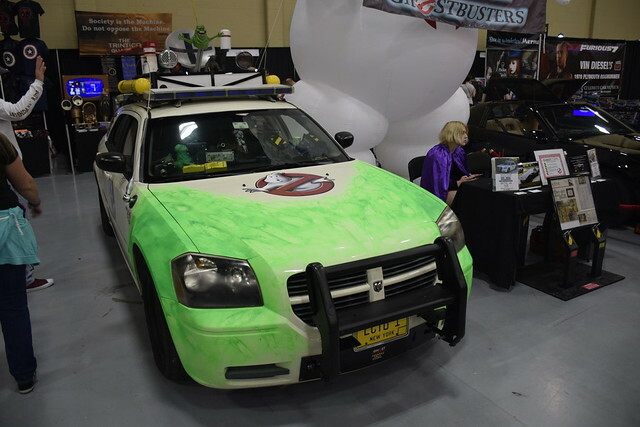 And the Ghost Busters car. We watched the new Ghost Busters on video this weekend. 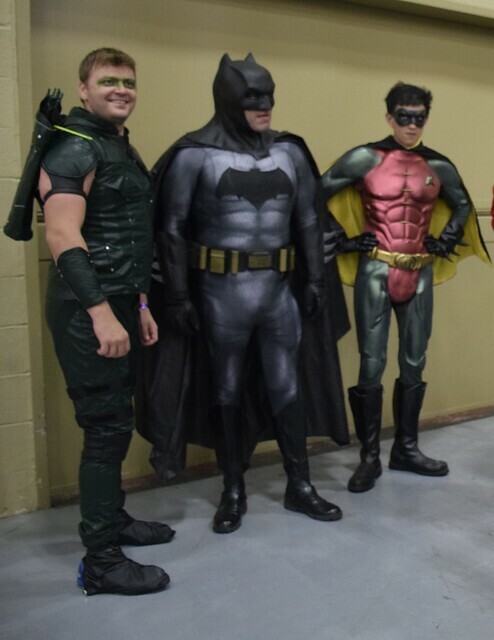 A big reason that people go to a Comic-Con is to Cosplay, or dress up as your character. To see and be seen and get your photo taken. I have trouble walking up and asking somebody if I could take their pic. I told Logan that next year we need to Cos-Play. I think I’ll show up as Walter White, the chemistry teacher gone meth cook from Breaking Bad. I love that guy. Talk about pure evil. Logan said he is just going to get a mask. 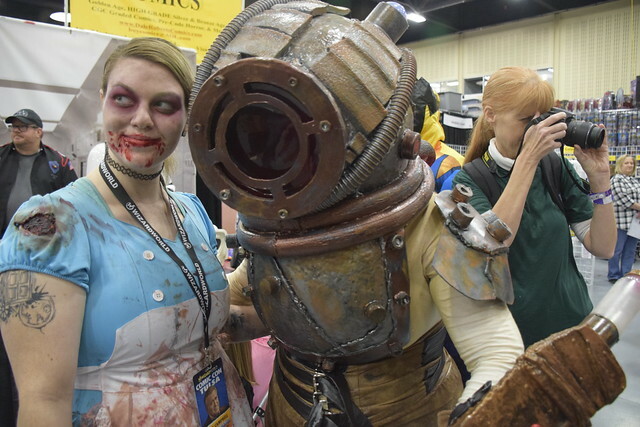 The Tulsa World has a photo gallery with some of the Cos Play costumes. 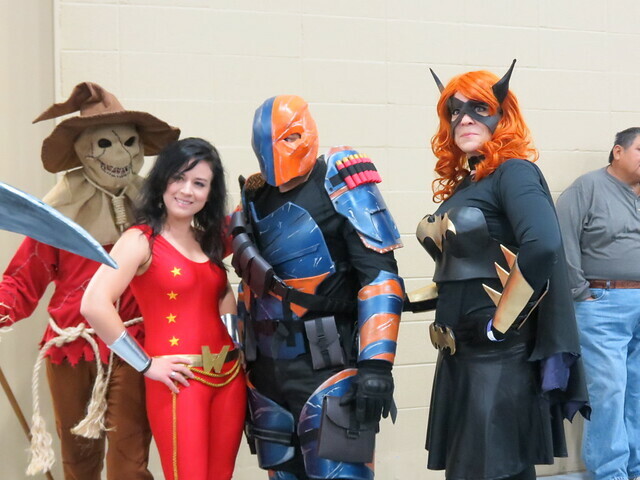 This is our third year to attend Wizard World. Check out our 2014 and 2016 visits. 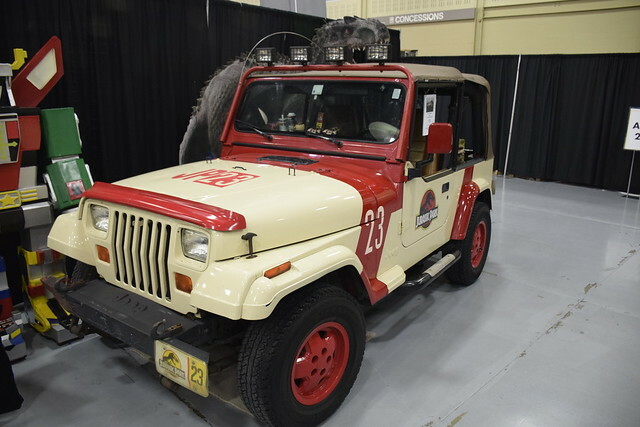 This entry was posted in Family and tagged Cars, Comic Con, Cosplay, Shows, Wizard World on October 24, 2016 by Alan Bates. 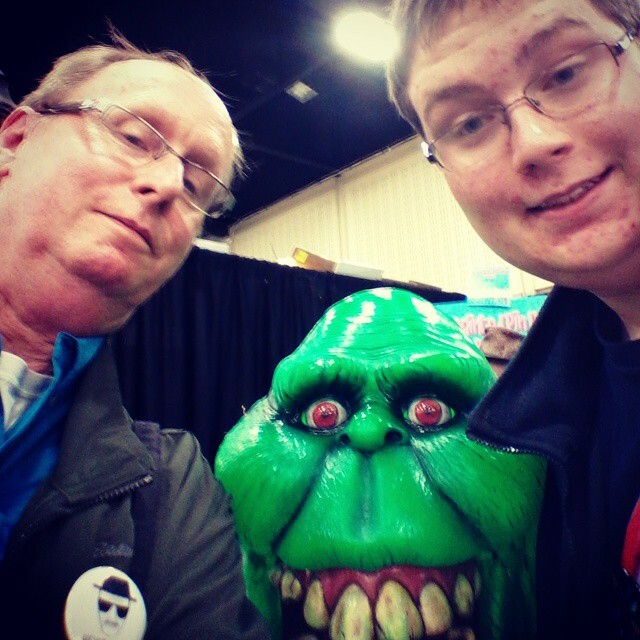 Saturday Logan and I ventured downtown to experience Wizard World Comic Con Tulsa 2015. A celebration of popular culture they call it. I’d say it is more of a slice of popular culture focused more on Superhero movies and fringe television show as opposed to say in Oklahoma, football, deer hunting, tea party politics, and country music. That is okay though because Wizard World is lots of fun and a segment of Oklahoma that hardly ever shows itself is on display. 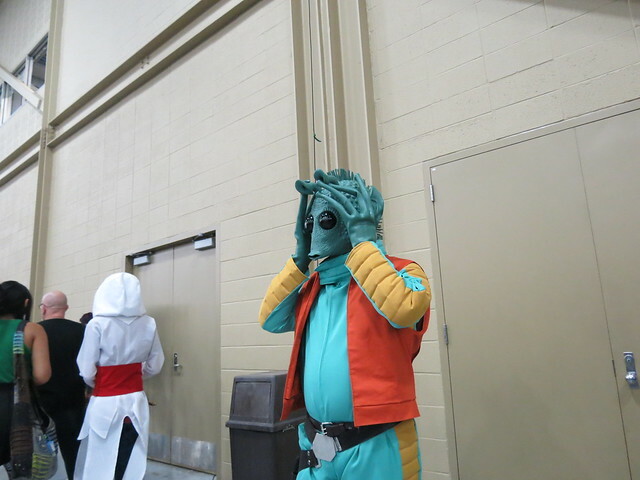 A big part of the fun is Cosplay where fans dress up as their favorite character. It could be from movies, television, shows, comic books, video games, anime or manga. Some of the costumes are quite elaborate. 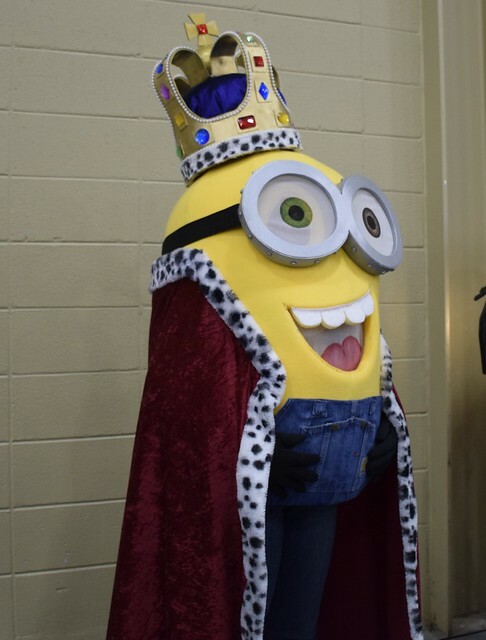 Check out this link to a Tulsa World photo gallery of the costumes worn at this event. I know that your are wondering and no, Logan and I didn’t cosplay this year. Maybe next year. I could have taken a lot more pictures but the venue reminds us that “Cosplay is not Permission.” In other words please ask permission before you take pictures. One could make a legal argument that they are in a public place and blah, blah, blah. We have too many people whining about their legal rights to do whatever, so I asked permission. Most of the time. 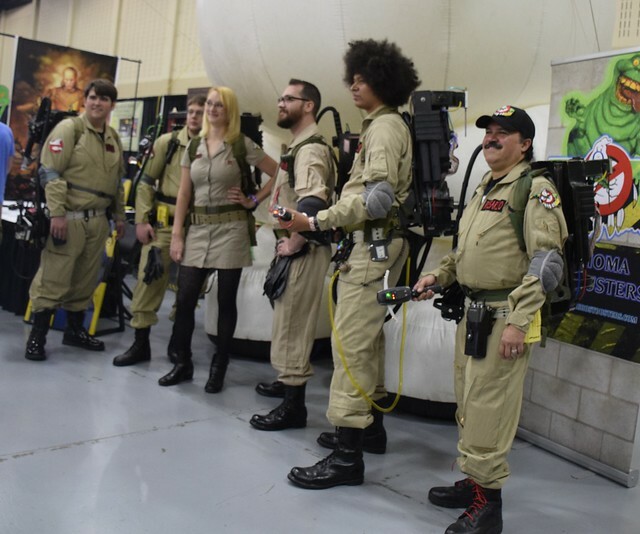 The Tulsa Ghostbusters were there in full force. I don’t know how many thousands of pics they posed for on Saturday. 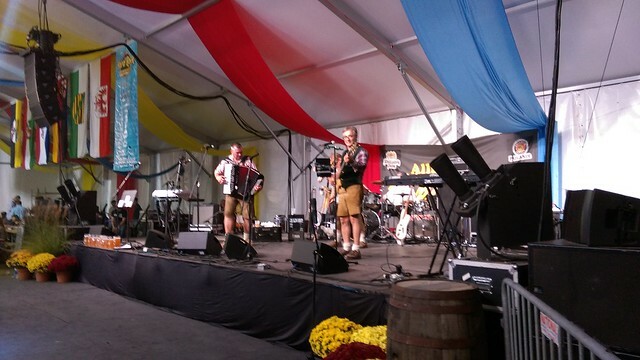 And then these guys. Just so you know I didn’t hardly know who any of the characters were supposed to be besides the obvious like Batman, the minions, Spock and so on. They had some vehicles there. Photos were free but if you wanted a photo of yourself in the jeep or whatever that is $20 or so. Hmmm, no. 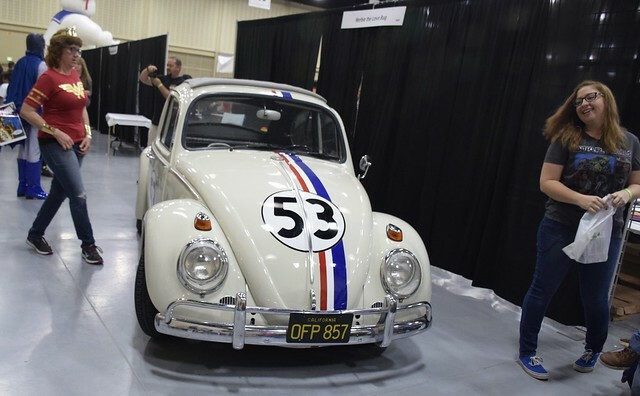 Herbie the love bug was there. 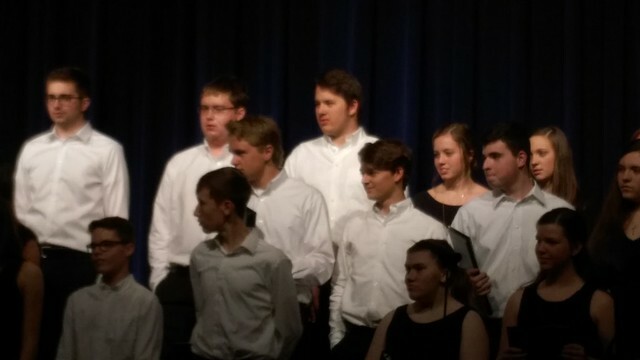 We had a fun time. We met up with some of Logan’s friends and check out everything out two or three times and then went on our way. So, I have to know, do you Cosplay? 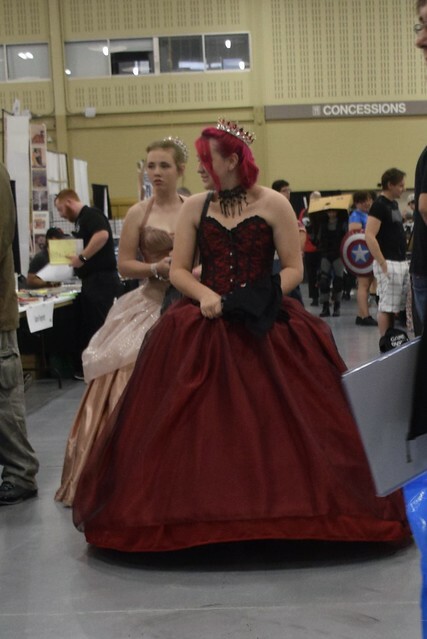 This entry was posted in Our World Tuesday and tagged Cosplay, Our World Tuesday, Wizard World on October 25, 2015 by Alan Bates. Big excitement this past week in Tulsa. 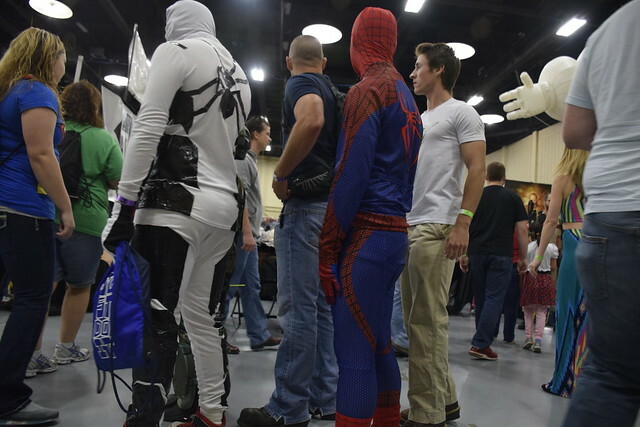 Wizard World brought their Pop Culture Convention to Tulsa, 2014 Comic Con Tulsa, for the first time ever. I didn’t know exactly what it was and neither did Logan but I bought us tickets anyway. We had to go check it out. It was a good thing that we bought them several weeks in advance because the Saturday single day tickets sold out. So what is Comic Con. Welllllllll, it is about a certain segment of pop culture having to do with super hero movies, comic books, and art and books having to do with that certain segment of culture. 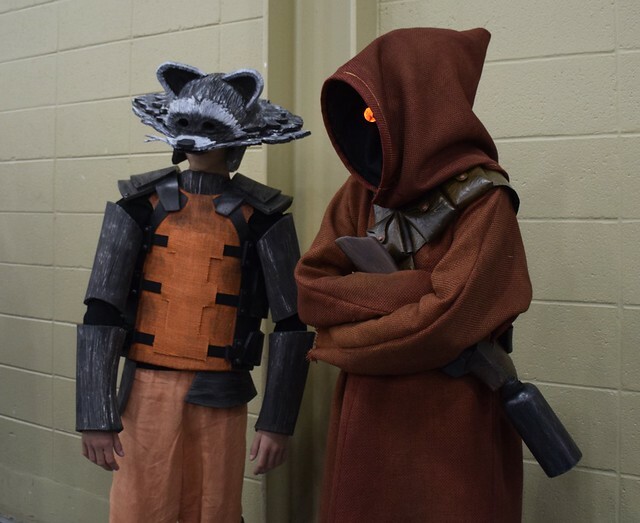 Fans show up in costumes portraying their favorite characters. I didn’t know hardly any of them. Except for like Mario and Luigi, Freddy Krueger, and others. Basically super heroes, and super villains and a sprinkling of cartoon characters. Logan was my guide, he knew who everybody was supposed to be. There were also booths were you get autographs, for a price, of actors and authors. Again, I didn’t know who any of them were except for William Shatner. 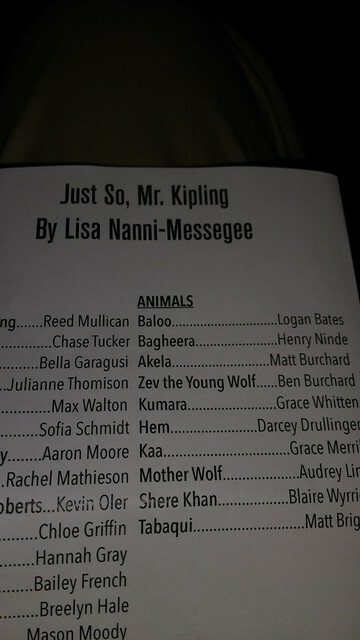 And unsurprisingly Logan knew most of them. What a drag attending Comic Con with old Dad uh? There was a fantastic array of merchandise of all prices between sold. Everything from art work and books to costumes to weapons (costume weapons). 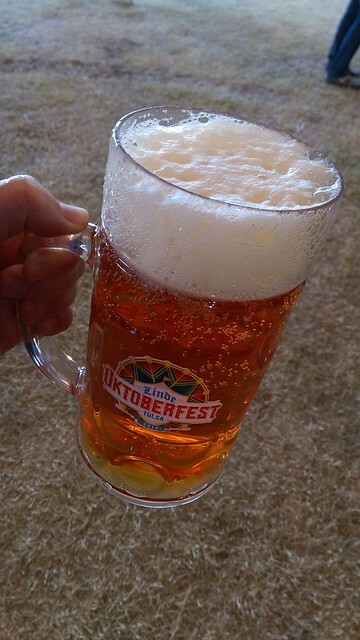 We had a good time and are planning to go again next year. They are already selling tickets! 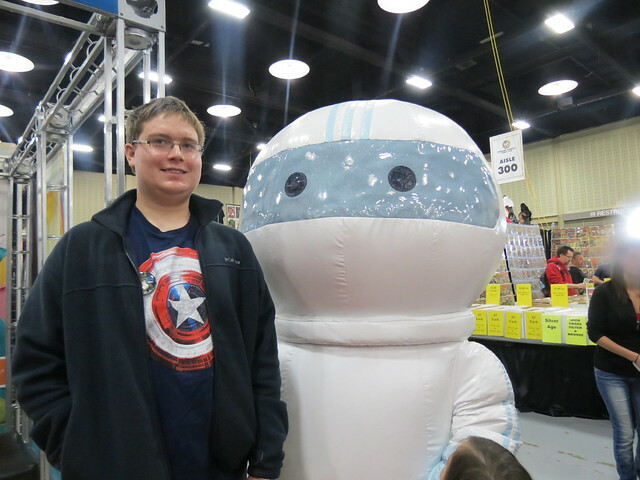 This entry was posted in Culture and tagged Comic Con, Pop Culture, Wizard World on November 10, 2014 by Alan Bates.